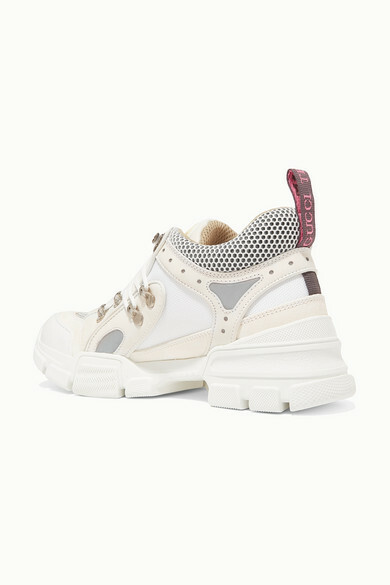 Designed with hooked eyelets and chunky gripped soles, Gucci's 'Flashtrek' sneakers look a lot like traditional hiking styles. 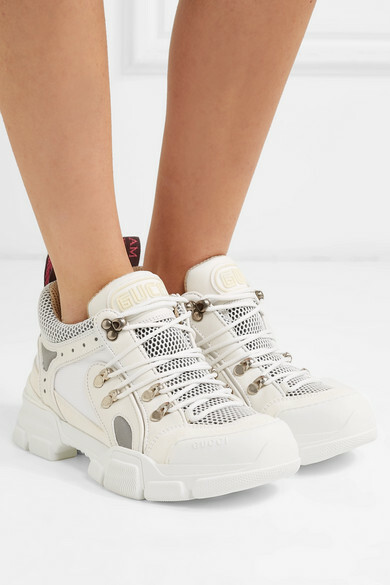 This pair is made from a tactile mix of leather, suede and mesh and has cool reflective trims. 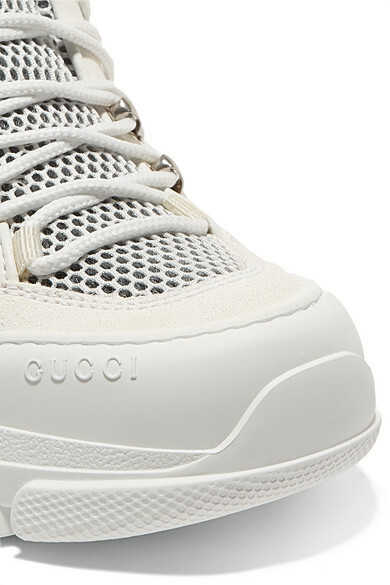 The SEGA-inspired logos across the tongues make them feel retro so they'll make every outfit instantly cooler. Wear them with everything from dresses to denim. 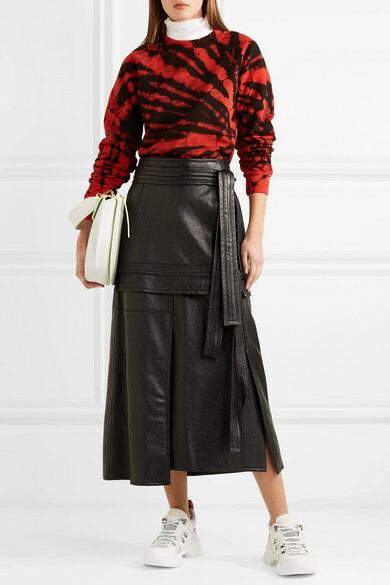 Shown here with: Proenza Schouler Sweatshirt, 3.1 Phillip Lim Skirt, Wandler Shoulder bag, Wolford Bodysuit.